This is not the cheeriest blog post, but I think it’s going to make us all happier in the long run. We are going to change up some of our content offerings at SewHere in order to achieve these goals; on-time delivery of content, higher quality of content, and higher quality of life for Mallory and Zede. I’m a bit too close to burnout for my comfort. The pressure of our current content structure is unsustainable. As our company has grown, I have wanted to give and give more and more to our audience, but I think I’ve over-promised and under-delivered (that’s the opposite of what you’re supposed to do). Instead of focusing on the things we created that people loved, I thought I had to go and make new things- sometimes to the detriment of our original content. New things are wonderful and necessary, but I need to make sure that I’m covering all of our bases before going above and beyond. I need to remember that our members joined, because they like what we do. So, I need to make sure we keep doing what brought them to us! I’ve been falling behind on that. I’ll start off with the bad news first. We are discontinuing the Monthly Self Sewn Wardrobe Planner. Creating original illustrations each month is fun, but I am spreading myself too thin by hand-drawing and designing the planner. A lot of people like keeping their own planners, anyway, and I will keep the Universal Wardrobe Planner up for sale and as a bonus for all membership levels. I will be posting the prompts in the group and on the blog. So, our entire community will participate collectively, or you can copy down the questions in your planner. A re-vamp of the Sew Long and Sew Happy Zine. The Zig Zaggers will get their monthly live broadcast close to the beginning of the month. That tutorial will then be transcribed and photographed to become the Sew Long and Sew Happy Zine- so the zine will come out later in the month. Coming up with 4 podcasts, 3-4 blogs posts, then a separate zine topic, then a live broadcast (then trying to develop patterns and classes) is spreading us too thin. Sewing Out Loud. 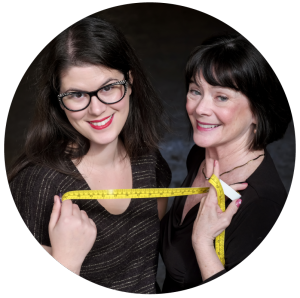 We’ll keep creating weekly Sewing Out Loud podcasts, and these fabulous episodes are going to get the attention they truly deserve. Detailed show notes with appropriate links and pictures. If there’s a demand, I’d be happy to turn these into downloadable PDFs for members. 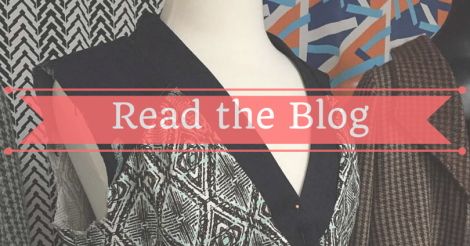 Weekly or Bi-Weekly blog posts. Sometimes, information doesn’t need to go into a podcast, it just needs a quick write up. I’m going to have more time to blog and to film requested tutorials. Yay! Patterns and Classes. This structure is going to open up space for us to create and release classes and patterns/drafting guides. Right now, it’s about impossible. We’re thinking 2-4 patterns/classes per year. These will be free/discounted for members, as they have been in the past. SSW Live Broadcasts. Everyone freakin loves these- but I’ve been so overwhelmed, that I’ve let them go by the wayside! I’ve got a cool tool that’s going to help me do live broadcasts, and automagically turn them into podcasts- so yay! Making a more sustainable schedule/content plan for our company means that we’ll last longer and be more resilient. I’ve looked at other blogs, sites and magazines, and I think my expectations of myself were too high. This meant a lot of stress for me, and that things weren’t being delivered on time (bad for everyone). So, I am excited to keep expectations reasonable and keep on creating high quality content, instead of watching an unreasonable to-do list grow and grow. I won’t apologize for wanting to nurture work-life balance or for trying to avoid a breakdown. But, I do apologize to anyone who feels like these growing pains have hurt them, or they’re not getting what they were promised. If that’s you- I’d like to hear from you- you can email me at Mallory (@) Sewhere.com. Our members are dedicated and thoughtful- and I’m so grateful for all of you! It pains me a lot to think that I might disappoint any of you, but these moves will help me to be a more efficient and reliable creator for you all. We have yearly memberships available (more details later). Yay! But some Zig Zaggers have already paid for a yearly membership, and now I’m changing things. If you paid for a yearly membership and have questions or concerns, please reach out to me ASAP, and I will do everything I can to make you a happy camper (stitcher). P.S.- if you have no idea what I’m talking about- check out memberships here. Mallory, this all sounds fine. Cut back even more if you need to. We all really appreciate you, but you have a life, and so does Zede, and we don’t want either of you getting frazzled! I agree with Rita. Do what you gotta do to make life work for you. I joined as much, or maybe more, to support you all and the community you have helped grow. Sew on, sew strong! Cool! Whatever it takes to have the good things. I personally don’t use the wardrobe planners. I’m after drafting guides/patterns, helpful sewing ideas via podcast or video. I can never get to the live FB broadcasts due to time differences anyway. I’d actually prefer a YouTube channel with helpful sewing videos or just chats. I find the FB live broadcasts get lost down the line in FB. Take care of yourself. Have been to the burnout cliff face and you do not want to go there. You are a Mum and Wife and Daughter first. I think “The Really, Really Good News” is an excellent focus and the PDFs sound like a wonderful idea. Happy you’re making the changes you need to to keep sane! The podcasts, blog and classes are what I love most, so I’m not disappointed at all! Mallory – please take some time to nurture yourself. You and Zede have created a great community with wonderful creative minds and lots of common sense. Please don’t ever apologize for taking care of yourself. Doing so will result in a happier you!! All anyone could ever want. Your hard work and creativity are so very appreciated. Make it work for you. The quality and attitude is amazing. Keep up the good work. We are rooting for you, SewHere. Good for you! I appreciate all your hard work and want you to do whatever you need to in order to keep creating those patterns and classes. 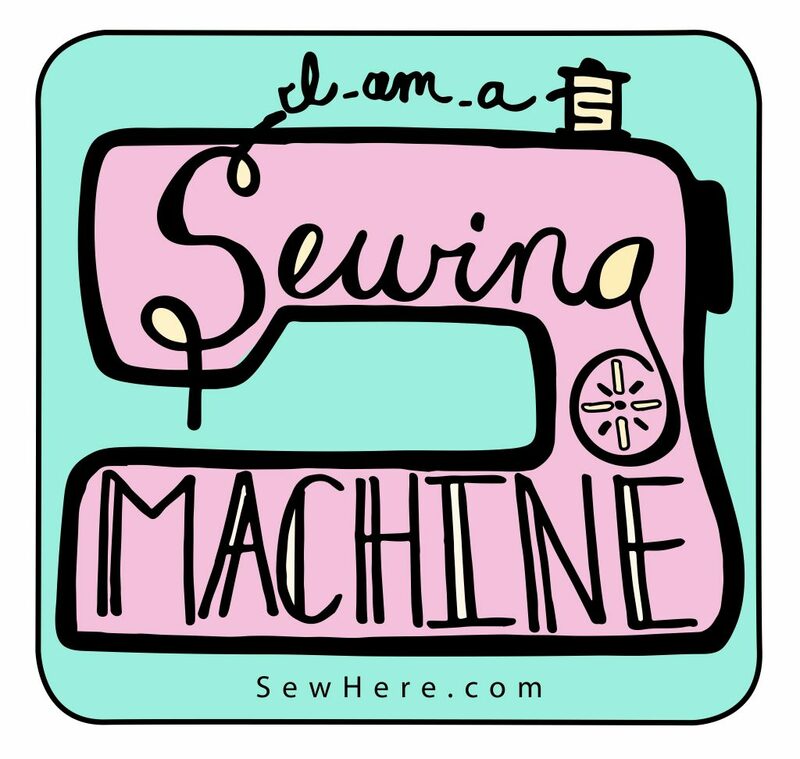 Thank you for taking care of yourselves, because then you can keep taking care of your sewing machines (us). I do so enjoy the podcasts!!! You guys are so informative and FUNNY!! I agree I would love to see videos too! Do what you enjoy and you’ll never work a day in your life! !